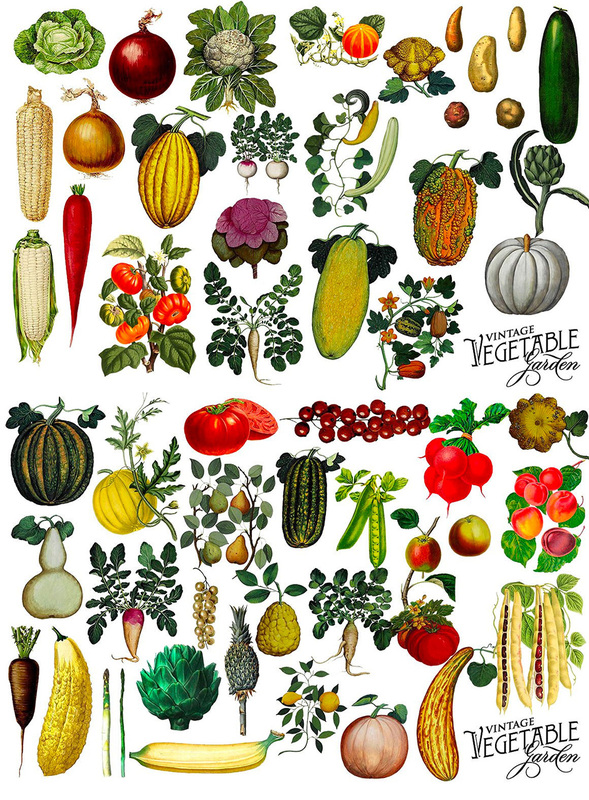 This is a carefully curated collection of 50 vintage botanical graphics of different vegetables and a few fruits. 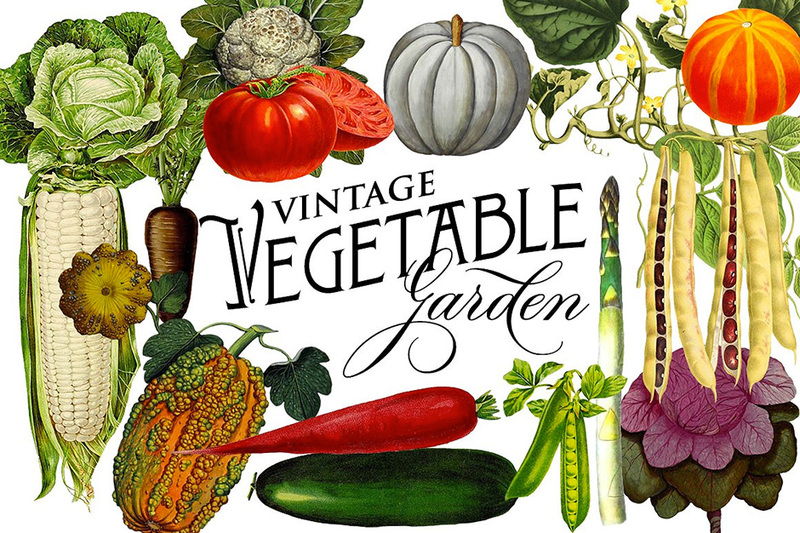 Included are corn, squash, gourd, peas, beans, turnip, carrot, tomatoes, pumpkin, artichoke, radishes, cauliflower, cabbage, lettuce, potato, onion, asparagus, berries, banana, pineapple, apples, peaches and pears. Each graphic is an individual 300 ppi .PNG file with a transparent background, so they are easily layered. Perfect for cards, invitations, digital scrapbooking, and more. These graphics vary in size, with some printable at only about 1″ and others as large as 7.5″. File size is approx 42.6MB (47.8MB unzipped), offered as a single download.